As we are in the throws of fall, and approaching Halloween, we know that our nurses and techs alike take part in autumn festivities. We love seeing your Halloween costumes, both on and off assignment; we always think nurses have some of the most creative costume ideas! We also can’t help but notice that the beautiful fall feeling around us quickly transforms to an eerie setting due to the cooler weather, stark trees and the frightful decorations. Storefront windows are converted to scenes full of gore that invoke fear. Shelves in stores become littered with decapitated heads, severed limbs, and blood-drenched decor. Stores use these ghoulish trimming and creepy music to produce terror and fright. As we celebrate the holiday of Halloween, we tend to forget that these gruesome and grotesque scenes are common experiences that professionals in the health care field experience every day. Techs, Nurses, and other healthcare professionals are required maintain composure, make critical decisions, work extreme hours and multitask, all while being surrounded by the very things we use to decorate for Halloween festivities. We know that it is tasking on the physical, mental and and emotional sides of you – and that’s just your everyday reality! With all the varieties of costumes available from mermaids to siracha bottles, and the millions of careers one could dress up, health care providers such as nurses, doctors, and lab technologists are often the popular choice for costumes every year. 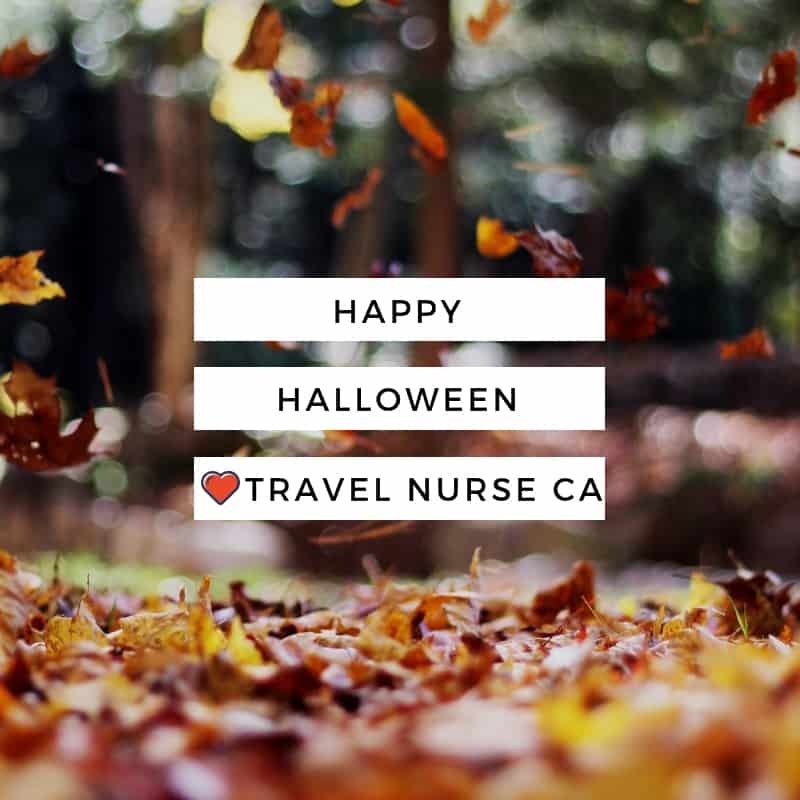 To our many Travel Nurse Canada employees, please take this as a huge expression of gratitude for the extraordinary job you do and how highly you are held in esteem in our society. Enjoy a Happy Halloween and thank you again for all you do! Ready to work for Travel Nurse Canada this fall? We’re currently recruiting Travel Nurses, MLT’s, UST’s, and CLXT’s for a variety of exciting placements across Canada! Contact us to learn more.